Lance Corporal Zachary Allan Rhinard, 20, of Pioneer left us unexpectedly on January 14, 2019. He was born on December 31, 1998 in Marshall, Michigan to Kristin Lynn Dawson and Robert Claire Rhinard. Zach graduated from North Central High School in 2017. He played on the Eagle basketball team and was a member of the band while at NCHS. 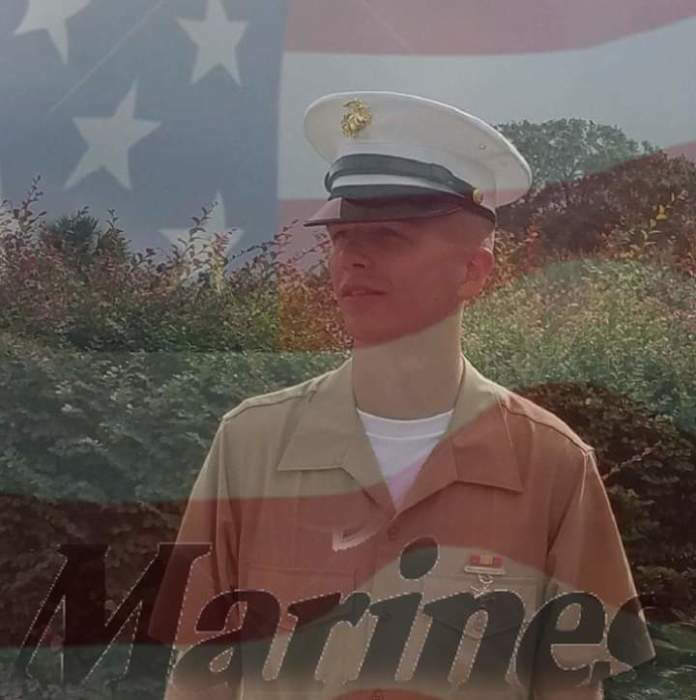 Zachary was a mortarman and reservist for the United States Marine Corps starting his service directly after high school. Zachary was a very active young man with an infectious smile and quick wit. It was hard not to smile when he walked in a room. If he was not at the Pioneer park or the YMCA playing basketball, he could be found enjoying time out in the field, target shooting, catfishing in the moonlight or driving in his car that he enjoyed so much (with the music playing way too loud). Zachary loved all of his bros (take note: Article 22 of THE BRO CODE -- “There is no law that prohibits a woman from being a Bro”) with all his heart. He is survived by his parents, Kristin Dawson and Chad Douglass of Pioneer, Robert (Tonya) Rhinard of Homer, MI; his siblings, big sister Julia Rhinard, brother Justen Douglass, sister Jorden Douglass, brother Eric Rhinard and his sister Ava Sever of Homer; maternal grandmother, Carol Dawson of Litchfield, MI; paternal grandparents, Janet Gage (William McMurtry) of Jackson, MI, David (Susie) Rhinard of De Tour Village, MI, Onnaliesa Douglass of Pioneer; aunts, Kim Dawson of Charlotte, NC and Kelly (Bruce) Kelley of Hillsdale; uncles, Troy, Jamie and Casy Douglass; cousins Layna, Sydney and Gordon; numerous other close friends and loved ones as well as many other brothers and sisters in the Marine Corps. Zachary was preceded in death by his paternal grandfathers, Allan Dawson and Robert Douglass and his uncle Cody Douglass. A celebratory time to receive friends will be held on Friday, January 18, 2019 from 3-6 pm at the Veterans’ Memorial Building at the Fairgrounds in Montpelier. Memorial contributions may be given in Zachary’s memory to the Mendleton Foundation.